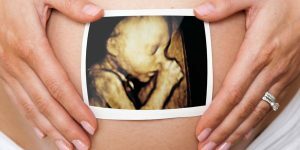 Hey Baby 4D is a private 4D ultrasound clinic based in Abergavenny. We are currently seeking an experienced Sonographer to work on a part time, permanent basis, starting as soon as possible. You will be working in a brand new, boutique-styled baby scanning clinic in the heart of Abergavenny, Wales. We are looking for an experienced Sonographer who will promote a patient focused approach to care; ensuring all client areas are safe and fit for purpose. You will be required to undertake a range of duties using complex or sensitive information and will act as the customer’s advocate, maintaining their dignity at all times. In order to be considered for this position, you must be an experienced Sonographer with an expert understanding of Ultrasound practices and be registered with the HCPC, SoR or GMC. The successful applicant will demonstrate excellent verbal and written communication skills, coupled with a strong patient-centred approach. You must have at least 2 years’ experience working as an Obstetric Sonographer, with available references. Due to the urgency of this role, we are only able to accept applications from qualified and experienced Sonographers with recent work history. So who are Hey Baby 4D, and why would you want to work for us? 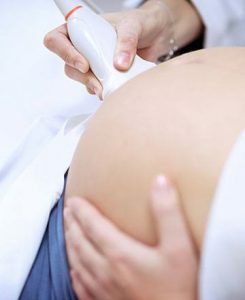 Hey Baby 4D are a UK based private ultrasound group. We already have a number of clinics across the UK, with many more due to open this year. Each of our clinics are privately run and owner-managed, with experience and support provided from Hey Baby 4D Headquarters. We’re all about longevity at Hey Baby 4D – and that doesn’t just apply to our external partnerships, it applies to our employment strategy too. With longer appointment times, you’ll have the chance to build rapport with your customers and perform all of the necessary checks before getting to the fun part. You’ll be an integral and respected member of a team committed to excellence and best practice. Add to this the fact that we regularly invest in your CPD and offer an excellent benefits package with shorter working hours and annual salary reviews, and you’ve got yourself a great job in a lovely environment with like-minded people. What’s not to love? !